In this 13-day luxury adventure, explore the magic of Iceland with its spectacular hot springs, waterfalls, ice caves, and volcanoes. Learn why Reykjavik is one of the fastest-growing travel destinations in the world – a modern, cosmopolitan capital that boasts world-class dining, is steeped in rich history and tradition, and awe-inspiring landscapes. Welcome to Iceland! You will meet your guide at the international airport in Keflavik upon arrival. Reykjanesskagi is a peninsula at the southwestern end of Iceland, near the capital Reykjavik. The peninsula is marked by active volcanism under its surface, and large lava fields, allowing little vegetation. There are numerous hot springs and sulphur springs we will see today. The Leif the Lucky Bridge spans the Alftagja rift valley (60 feet wide and 20 feet (6.1 m) deep) near Grindavik, which marks the boundary of the Eurasian and North American continental tectonic plates. Visiting Blue Lagoon Iceland becomes indispensable because of the variety of health and emotional benefits the destination offers. As the water comes straight from the depths of the earth, it is loaded with minerals, salts, blue-green algae and silica. These elements are believed to possess therapeutic powers. The view of the lagoon is spellbinding. The color of the water is frosty blue. However, this term is an oxymoron because the temperature of the water always fluctuates between 37 degrees and 40 degrees Celsius. 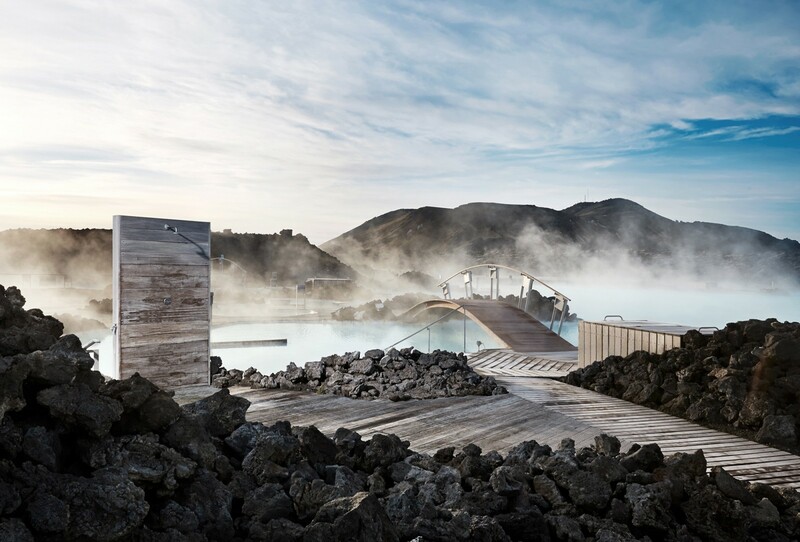 With the other Icelandic and North European locales forcing you to cover your body head to toe, this destination provides the perfect atmosphere for the body to relax. Privacy – six private shower rooms, each for 1-2 people. Comfort – complimentary towels, bathrobes and slippers. Luxury – our reserved lounge, with its fireplace and designer furniture, is a haven of indulgent calm. Ease – light refreshments available in the lounge, or you can order something delicious from LAVA Restaurant’s a la carte menu. Skin Care – Selection of our most popular skin care products, and with it a step-by-step manual to experience the perfect Spa Journey. Exclusivity – a private lagoon with direct access to Blue Lagoon and private outdoor lounge deck with stunning views. Star treatment – a dedicated staff member whose only concern is to make sure you have everything you need. Seltun geothermal area is beautiful and amazing. Sulphuric water and gases have created colorful deposit; the soil is colored in green, yellow and red colors. Visitors can wonder at hissing solfataras, fumaroles and boiling mud pots, where the soil is mixed with acid. Kleifarvatn Lake is based on the fissure zone of the Mid-Atlantic Ridge. In a big earthquake in 2000 the lake began to diminish and about 20% of its surface disappeared. Since the earthquake it has started slowly to fill up again and in 2008 the lake had regained its previous surface level. We now head towards your accommodation in Reykjavik, Hotel Borg. It’s time to go to Reykjadalur located in the high heat area of Hengill. 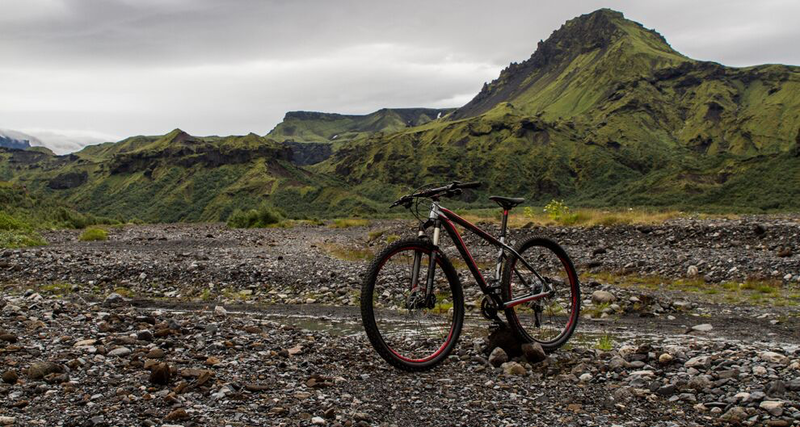 On the way we will go mountain biking for your private journey in this zone. The way is safe and suits all levels, not too long. There’s a hot water stream gushing down the mountain. The valley offers a variety of hot pools and geothermal springs. For those who will it’s ideal to have a dip in the river. Our first stop today will be at Deildartunguhver, the highest-flow hot spring in Europe. 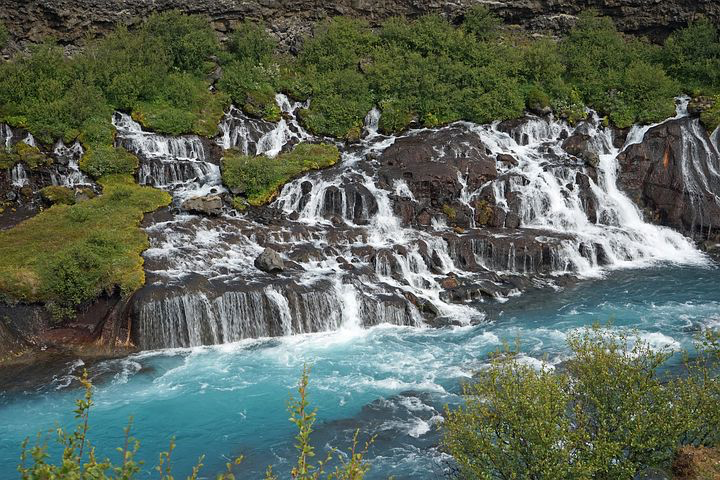 From there we visit the waterfalls of Hraunfossar (Lava Falls) and Barnafoss (Children’s Falls). Many Icelandic folk tales have been associated with Barnafoss, the most famous being about two boys from a nearby farm, Hraunsas. One day, the boys’ parents went with their ploughmen to a church. The boys were supposed to stay at home, but as they grew bored they decided to follow their parents. They made a shortcut and crossed a natural stone-bridge that was above the waterfall. But on their way, they felt dizzy and fell into the water and drowned. When their mother found out what had happened, she put a spell on the bridge saying that nobody would ever cross it without drowning himself. A little while later, the bridge was demolished in an earthquake. We will travel up to the ice cap in an 8 wheel truck; you might even see big crevasses in the ice. Your driver knows where they are, and will drive you safely around them, and will only cross them when it is safe to do so. We then head up to the ice cap of Europe‘s second largest glacier Langjokull. We will explore the glacier and experience the unique traveling on top of the snow on a thick solid glacier. We will learn about its movements and see crevasses, caves and how the melting water forms rivers and lagoons. The highlight of the ice cap will be going into a manmade ice tunnel. Ice-tunnels such as this have been constructed in a number of places around the world, but none into an ice cap the size of Langjokull. 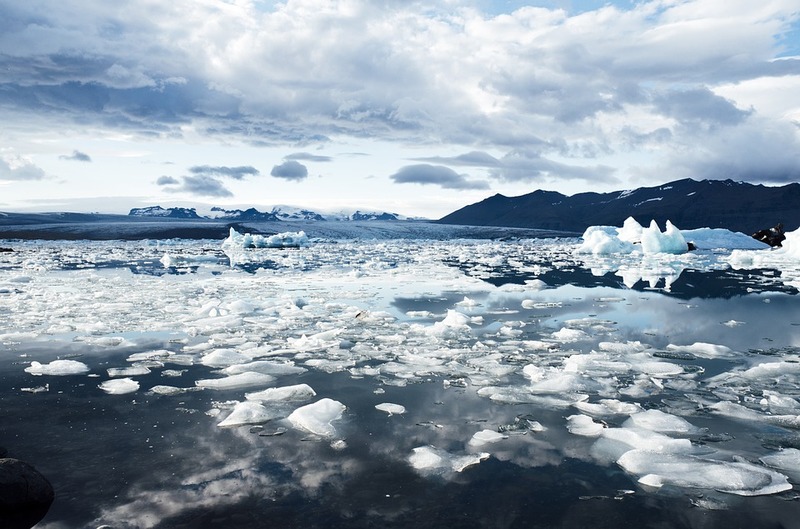 The construction means visitors will have a new and totally different view of the glacier and the impact global warming has on the environment. We will start by driving up to Blafjoll mountain and from there we will hike to the volcano, Thrihnukagigur. The walk usually takes about 45–50 minutes to complete. It’s rated as moderate in difficulty –it’s not uphill but the surface is hilly and uneven. This is not a hike for those who have problems with ankles, knees, hips and the back. It can be demanding for those who not used to walking or doing longer walks. After arriving on location, your group will be informed about all safety procedures and how to behave in the area and when inside the volcano. You will be wearing a helmet and harness. The group then split into a smaller party of 4–5 people. The trip down or up takes about 10 minutes and the first ones to go down will usually be the first ones to go up. You can spend up to an hour inside the volcano (or less if you prefer), in which time you can take as many photos as you want. However, you are not allowed to take rocks and stones from the crater. Expert guides will be with you at all times, in the cable lift and on the ground in the magma chamber. Thrihnukagigur volcano is dormant – It last erupted over 4,000 years ago. There are no indications of it exploding again shortly. The volcano’s name, mostly unpronounceable for anyone other than locals would directly translate as Three Peaks Crater. The beauty of the crater mainly consists in the various colourations found inside it, and it’s enormous and to some extent intimidating size. Put it in context; the ground space is equivalent to almost three full-sized basketball courts planted next to each other, and the height is such that it would easily fit a full sized Statue of Liberty into the chamber. So make no mistake –it’s huge! In the afternoon we will go on an ATV/quad safari. Raw nature, dirt and often wet weather, extreme off-road conditions like you have dreamed of. This is guaranteed fun for everyone. Going over the rough terrain does take much effort for the ATV/quads. This a family sport and no danger whatsoever if you take the time to listen to your guide. Your personal guide will take you for a drive around Reykjavik and its vicinity. During this tour, you will see the old town center, the Parliament, the Cathedral, the harbor, Hofdi House, the summit site of 1986 and Harpa, which is one of Reykjavik’s greatest and distinguished landmarks. It is a cultural and social center in the heart of the city where it poses majestically by the harbor. The National Museum of Iceland’s permanent exhibition, Making of a Nation – Heritage and History in Iceland, is intended to provide insight into the history of the Icelandic nation from the Settlement to the present day. The exhibition includes about 2,000 objects, dating from the Settlement Age to the present, as well as about 1,000 photographs from the 20th century. The exhibition is conceived as a journey through time. Hallgrímskirkja church is Reykjavík’s main landmark, and its tower can be seen from almost everywhere in the city. In the afternoon we’ll go whale watching on a rib boat. In just a few minutes we can go from the harbor out to the open ocean and back home to port and in-between see one of the biggest animal on the planet, the whale. We are lucky that in Icelandic ocean we have around 20 species of whales as they come here to feed. 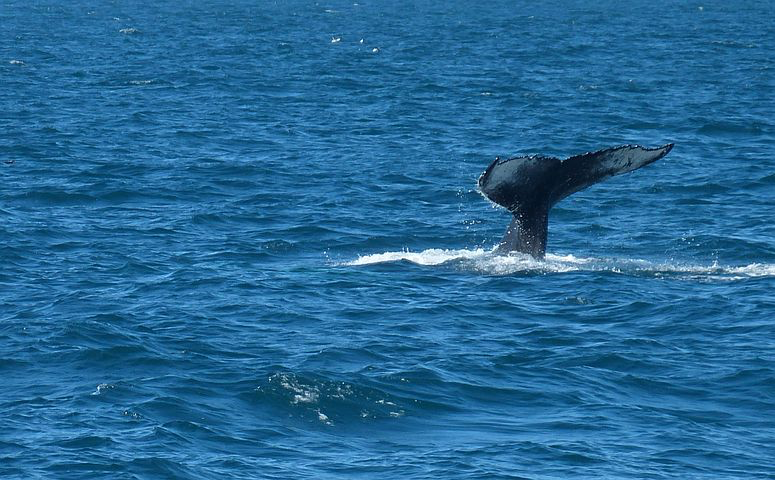 The whales often surface within few meters from the boat so you can see them up-close. Today, another day exploring some of the natural wonders near Reykjavic, as well as learning more of the history and culture of the local population. We start with the Beach near the abandoned farm of Ytri Tunga, which is well-known for its seal colony. The seals are friendly and curious and will climb up on the rocks near the sandy beach. Sometimes you have to be patient and wait for them. 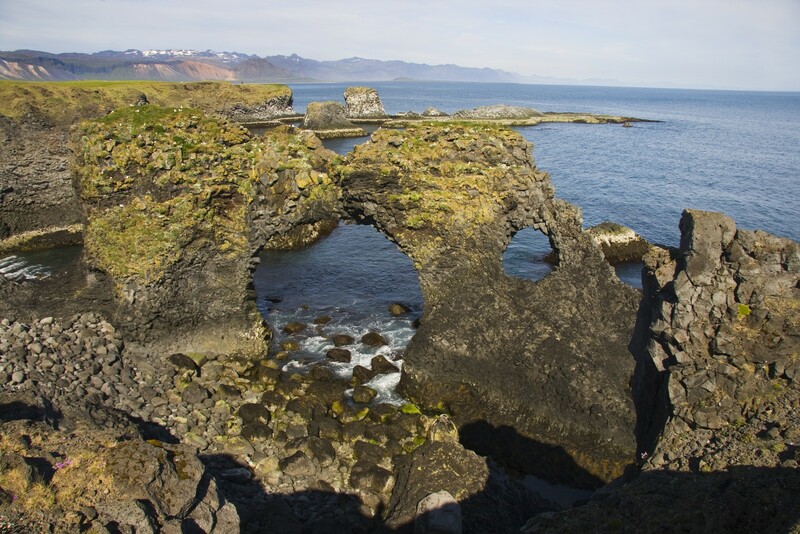 In the afternoon, take a hike from Arnarstapi to Hellnar and experience unique lava formations in the cliffs. The remainders of a shipwreck can be seen on the beach. On the beach there are also big stones which people tried to lift and test their strength in the days of the fishing stations: Fully Strong 154 kg, Half-Strong 100 kg, Weakling 54 kg and Bungler 23 kg. Weakling marked the frontier of wimphood, any man who couldn’t lift it was deemed unsuitable for a life as a fisherman. It‘s time to dig deep and get to know the story of the people of Snaefellsnes peninsula. You enjoy some conversation with the locals who will share the knowledge and legends of their community and will enrich your experience. We head to Thingvellir where the Vikings established the first Parliament and now the oldest still working Parliament in the world. Althing (the Parliament) has been working uncut since 930. Today Thingvellir is a national park and considered a natural wonder on an international scale earning a place on UNESCO World Heritage list. It’s time to visit Geyser area. We explore the geothermal pools around Geyser and see Strokkur erupt. If your camera does not get a good picture of the spouting geyser, then you just wait 5 minutes, and Strokkur will erupt again. The folks at Fridheimar are greenhouse farmers, growing mainly tomatoes, but also various vegetables using green methods. You have the opportunity to learn about the tradition of thermal greenhouses and the methods utilized by the local farmers to grow their tasty and healthy produce. Experience the diversity and freshness of Icelandic food and ingredients! Experience the diversity and freshness of Icelandic food and ingredients! Lunch at Fridheimar. It’s time to go to a horse breeding farm and meet the local horse farmer who will show you the Icelandic horse and how breeding did in Iceland. Afterward, you will go private horseback riding. The Icelandic horse is a “five-gaited” breed, known for its sure-footedness and ability to cross rough terrain. As well as the typical gaits of walk, trot, and canter/gallop, the breed is noted for its capacity to perform two additional gaits. The first additional gait is a four-beat lateral ambling gait known as the tolt. Is known for its explosive acceleration and speed. The second extra gait is called speed or “flying pace.” It is used in walking races, and is fast and smooth, with some horses able to reach up to 30 miles per hour (48 km/h). Afterward, your local farmer will prepare dinner for you at his private home. We now head towards your accommodation in the south of Iceland, Hotel Ranga. We drive along the south shore, where the rugged landscape offers up firsthand evidence of nature’s power. You will find many photo opportunities on this excursion. Few words can describe the beautiful landscape of the South. But to name a few, we will see Waterfalls one of which you can walk behind, black sandy beaches, mountains, steep cliffs, glaciers and numerous strange lava formations are found along the way. Solheimajokull glacier tongue extends down from its mother glacier; Myrdalsjokull, Iceland’s fourth largest. We will also see both old and new farms, agricultural livestock and bird life. We will visit some of the most exotic places on the south coast, such as the surrounding of Eyjafjallajokull that erupted in 2010 and closed down all air traffic over the Atlantic Ocean for few days and the Thorvaldseyri Volcano museum that shows the aftermath of the volcanic eruption. On the west side of Reynisfjall, the high ridge above Vik, Rte 215 leads to the black-sand beach at Reynisfjara. The raw beach is backed by a stack of basalt columns that look like a magical church organ, and there are outstanding views west to Dyrholaey. The surrounding cliffs are formed from twisted basalt. 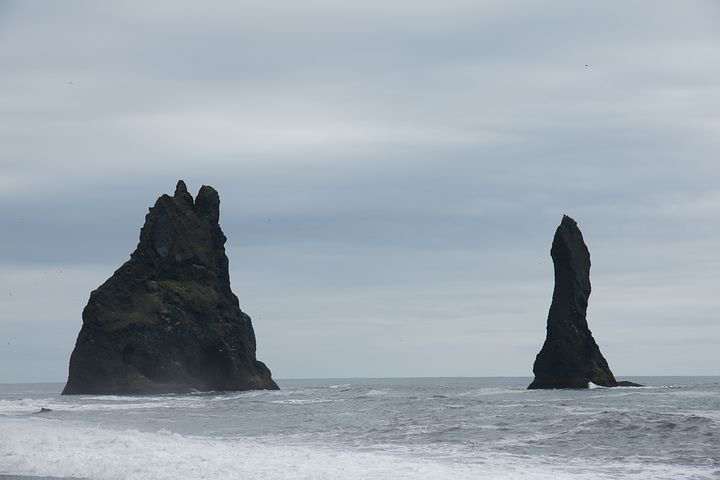 Immediately offshore are the towering sea stacks Reynisdrangur. We can offer you the chance to go up close to a glacier tongue to walk on the ice. Walking on the glacier is for everybody and when we put on our crampons and walk we will discover the hidden world of frozen water and explore the crevasse riddled outlet glacier with its unusual ice formations, sink holes and jagged ridges. It’s a natural activity amended to your capability. The drive to the ice lagoon goes along the south coast. We now go sailing on the ice lagoon in a Zodiac. Vatnajokull National Park is Europe’s largest national park. It is 13.600 square kilometers in size and covers over 13% of Iceland ́s surface. Over half of the national park is a glacier where you can locate the interrelationship between the forces of frost, fire, and water. The Vatnajokull glacier occupies vast highlands in the Southeast were comprising 8,300 square kilometers. High mountains fringe the western half lies within the active volcanic zone and its southern margin, cut by numerous valleys. Quite a few glacier snouts flow down onto the lower lying areas and discharge a significant volume of water. Today we will drive to Landeyjarhofn where we take the short ferry ride over to Vestmannaeyjar (Westman Islands). The Westman Islands are situated just off the south coast of Iceland. The main island, Heimaey, has a population of about 4,000. The islands formed by submarine volcanic eruptions along a 30-km long fissure lying southwest to northeast. We will go on a scheduled boat trip around the island Heimaey. The boat tour gives you a look at colorful ocean caves, the newly formed volcanic island of Surtsey and other islands of Westman Islands, and the lava coastline with its dark bird cliffs. You can observe the variety of seabird and occasionally whales. Our trip ends by sailing into the Cliff Cave near the harbor, where you will hear the sound of an instrumental music and enjoy the unique acoustic in this cave. Our next stop is Storhofdi with its magnificent views over the island and majestic glaciers of mainland Iceland. During spring and early summer, Storhofdi is home to the largest puffin colony on Heimaey. Our drive back to the harbor takes us between two volcanoes, the 5,000-year-old volcano Helgafell and the considerably younger volcano Eldfell (Mt. Fire) whose history is somewhat more recent. At 2 am on the night of January 23rd, 1973, a massive eruption began in the eastern part of Heimaey. Almost all of the 5,000 inhabitants safely evacuated to the mainland. Our next stop is the viewpoint located over the old town of the new lava over the new lava field. Welcome to Eldheimar, a museum of remembrance. The exhibition focuses on the 1973 volcanic eruption. Visitors get a glimpse into peoples lives on Heimaey before the explosion that would change their lives forever. This volcanic eruption is, without a doubt, considered the largest natural disaster in Iceland in recent history. The show also covers the Surtsey eruption, the island that emerged from the ocean south of Heimaey in 1963. The Surtsey eruption lasted for almost four years and ever since only scientists have been allowed on the island to monitor how new ecosystems come to life. Surtsey was inscribed as a natural property on UNESCOs World Heritage List during the 32nd session of the World HeritageCommittee in July 2008. You will also learn about the Turkish Abductions, series of slave raids by Barbary pirates that took place in Iceland in 1627. Pirates from Morocco and Algeria attacked few towns in Iceland, including Westman Islands. As there were no harbors or landing sites along the south coast, three ships eventually came on July 16th to Westman Islands. They raided the village and the home island for three days, capturing 234 people and killing 34. On July 19 the ships left Westman Islands and sailed back to Algiers. We now head towards the ferry and to your accommodation in the south of Iceland, Hotel Ranga. The day starts by driving in a super jeep/SUV. Thorsmork is one of the shiniest pearls in the string of beautiful areas of the country, surrounded by rugged and beautiful mountains, glaciers and glacial rivers, decorated with small birch woods and silver lined with humming brooks. Many have attempted to describe the charm of this area. Icelanders appreciate Thorsmork and visit it frequently the whole year round. 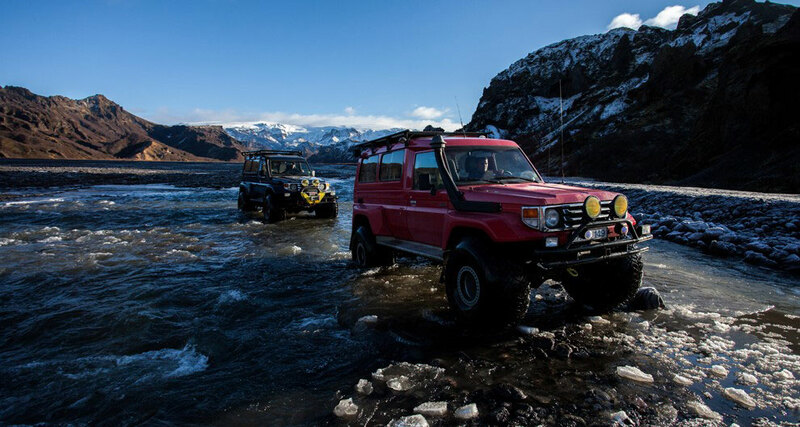 Quite a few streams and rivers have to be forced to get there, and no-one should try the trip without the business of experienced guide since the glacial rivers are very unpredictable. Thorsmork has often been difficult to reach, except by mountain vehicles. There is a multitude of small gullies and valleys, clad with low birch-trees that create seemingly endless possibilities for the nature lover. You will find more than 170 species of plants, moss, and lichen in this lush area, which was a fjord some 12,000 years ago. Barbecue lunch in Thorsmork. The outlet glaciers tumble and crawl down into the gullies, some of them ending in spectacular glacial lagoons. The glacial melt-off forms rivers that have to be crossed on the way to Thorsmork. Some days the crossing is quite challenging. Sometimes the passage is quite difficult. An innocent stream can change in a matter of hours into a thunderous torrent. Our skilled drivers are very experienced in these driving conditions and will take you safely across any river. After breakfast, you will depart in a super jeep/SUV for the day. This vehicle is perfectly suited to take us safely into the central highland. 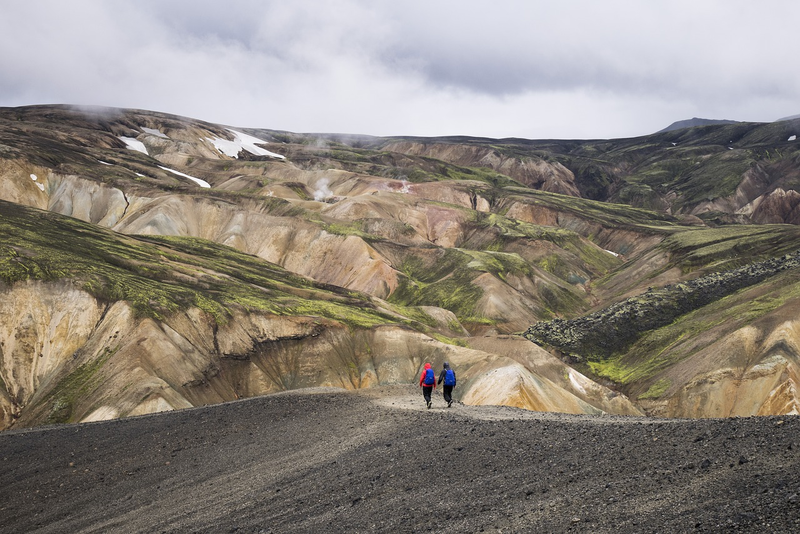 Our destination for the day is Landmannalaugar, or a quick visit to Mars or even the Moon. On our way, we pass by Hekla volcano before we arrive at the interior route, across lava fields, black ash, and scoria deserts. Landmannalaugar is an area of great contrasts with black ridges and colorful mountains of green, red, yellow and orange. 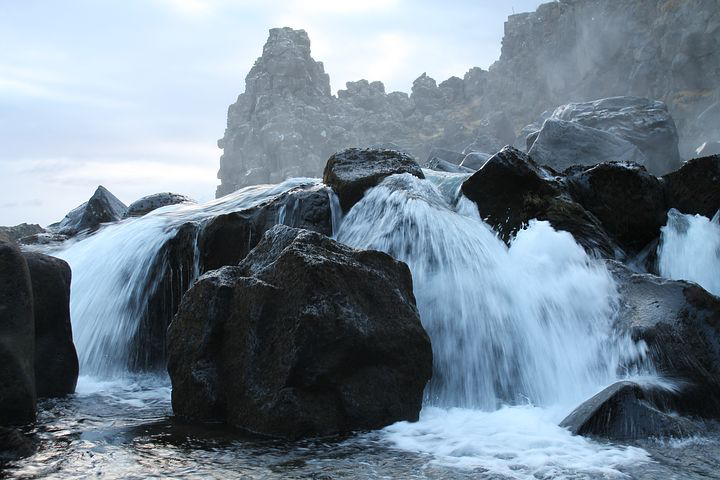 The Fjallabak Nature Reserve derives its magnificence and diverse nature from Iceland’s active volcanic zone. Out of that spectacular and unstable base emerges a captivating beauty that lures people to it. 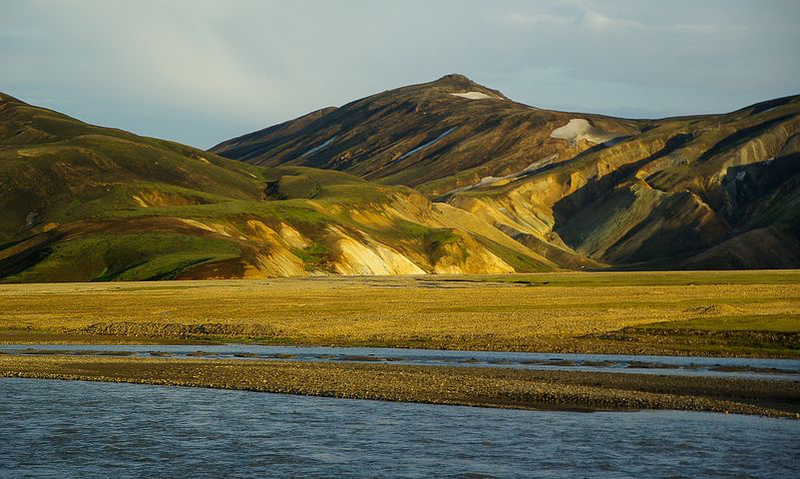 Landmannalaugar, one of the gems of the reserve, possesses precious nature. All of the most impressive features of the nature reserve exist there: stupendous ravines, steep rhyolite screes, rocky slopes, mountains with views, boiling springs, hot pools, cold and clear springs, contiguous vegetation, light-colored alluvial plains and different hydrological conditions. Lunchboxes are taken with us on the way. The fresh air with all the untouched nature, rivers, craters, high mountains and massive lava fields give you the feeling of something very special. We recommend you top the day off with a nice hot bath in a natural pool. 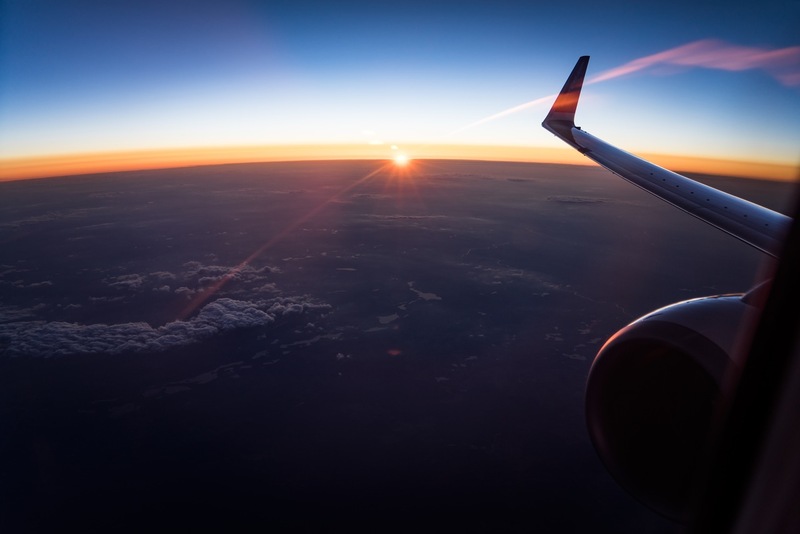 Your chauffeur will drive you to the airport for your international departure. Hotel Borg is a luxurious institution in the heart of Reykjavík. This property is the choice for the sophisticated traveler who demands meticulous service and superb facilities. 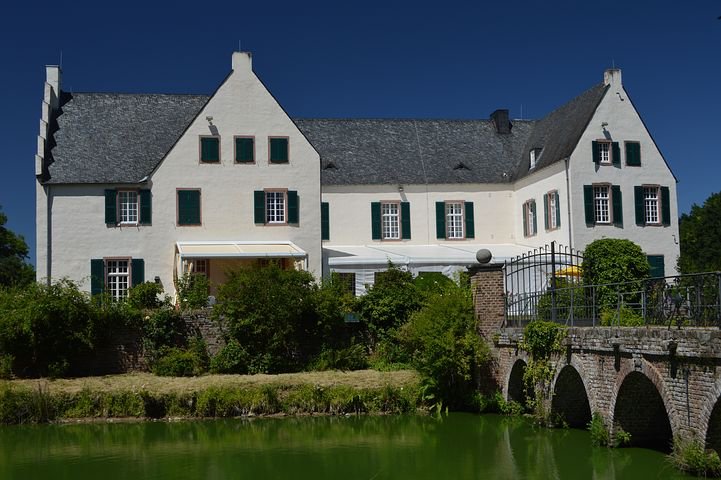 It’s easy to see why Hotel Borg is the selection of the smart traveler. Built in 1930 and restored to its original Art Deco style in 2006-2007, 4-star Hotel Borg is a showcase of sophistication. All 56 rooms have custom-made furniture and fittings with modern amenities including flat-screen satellite TV and high-speed internet connections. For an extra touch of luxury, there are 7 suites and a two-floor Tower Suite with a magnificent 360° view. Hotel Ranga is a luxury countryside hotel and the only 4 star hotel in South Iceland. It offers all the facilities and services of a modern resort. Located about an hour from Reykjavík, it lies just off the main road right in middle of South Iceland’s panoramic scenery. It provides stunning picturesque surroundings, such as the famous volcano Mt. Hekla, several glaciers and the Westman Islands. Right on the banks of Iceland’s premier salmon fishing river, the Eystri-Rangá (world’s #1 in 2007), the hotel offers an optimal atmosphere to meet every traveler’s needs, whether they be relaxation, pleasure, adventure or business.